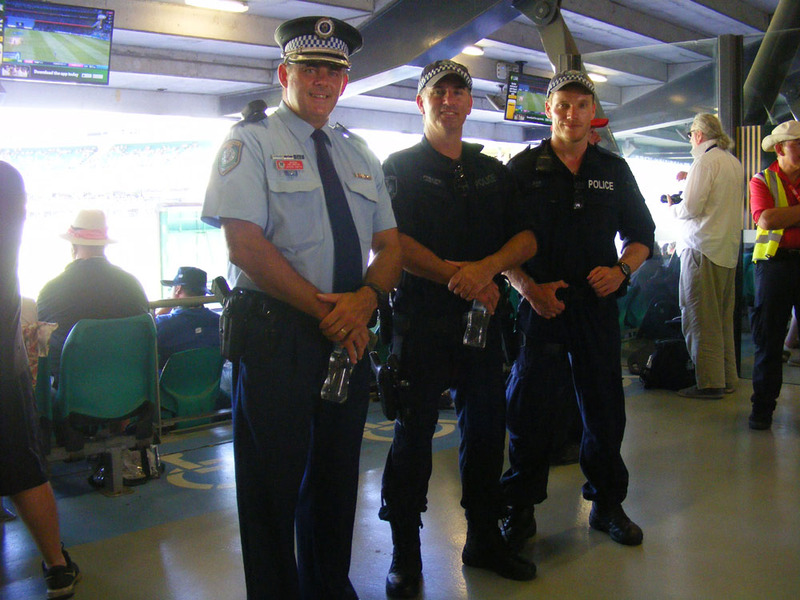 I photographed this group of New South Wales policemen at the cricket in Sydney. 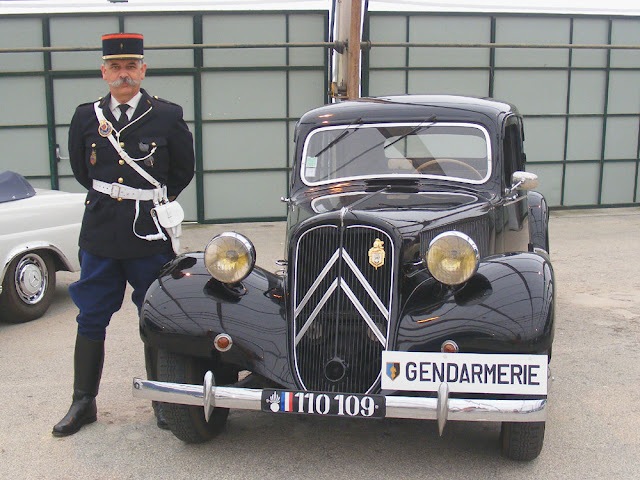 I thought it would be interesting to compare their uniforms and duties to French policemen at the Tour de France. They were bemused but co-operative. Unbeknownst to me at the time, the policeman on the left is Detective Chief Inspector Jason Smith, who co-ordinated Australia's biggest drugs bust just twelve months earlier. 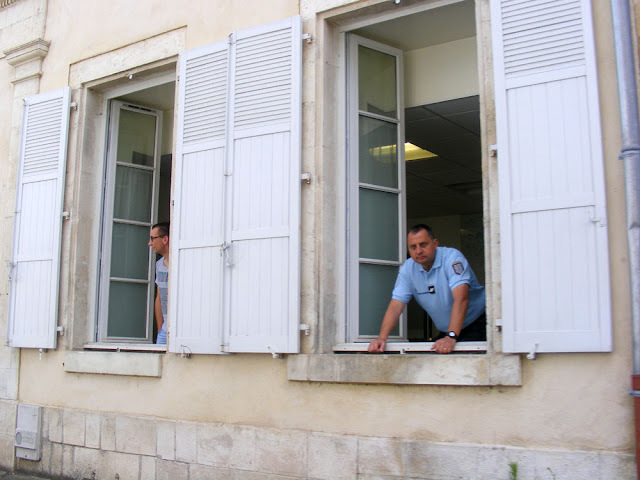 According to this article, even the French Navy was involved in the operation. It's the Rozzers! (18th century graffiti). This photo was taken as we flew into Sydney in November. It's difficult to believe that it was over seven months ago. 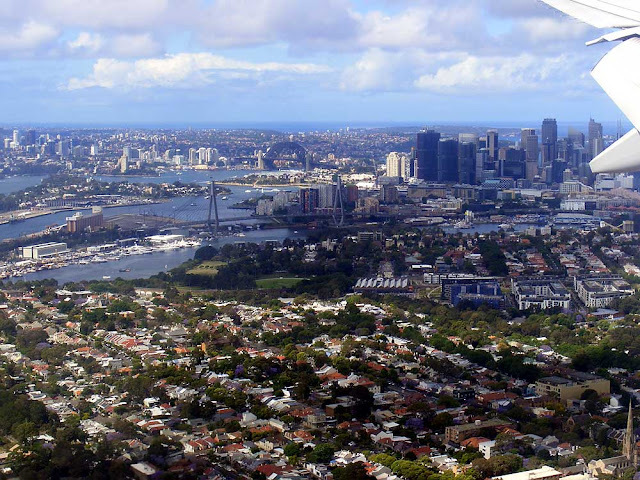 You should be able to pick out the Harbour Bridge, with the Central Business District to its right. 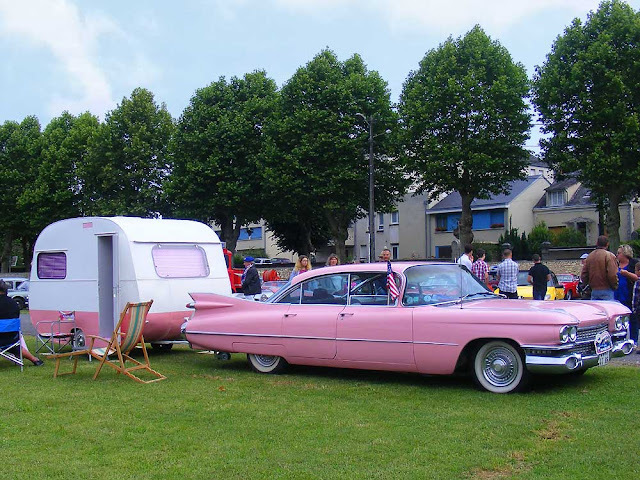 At the Bouchon du Blanc we encountered this amazing confection, and although we have see late 50's Cadillacs before we have never seen one colour matched to its caravan. Even if the caravan covered substantially less ground that the car pulling it. The lady of the household was magnificently colour coded to match the caravan, and what's inside? A world of pink! All of the fittings (sink, gas powered fridge) were of the period and the owners really encouraged us to go into the caravan, so justifiably proud were they of it. 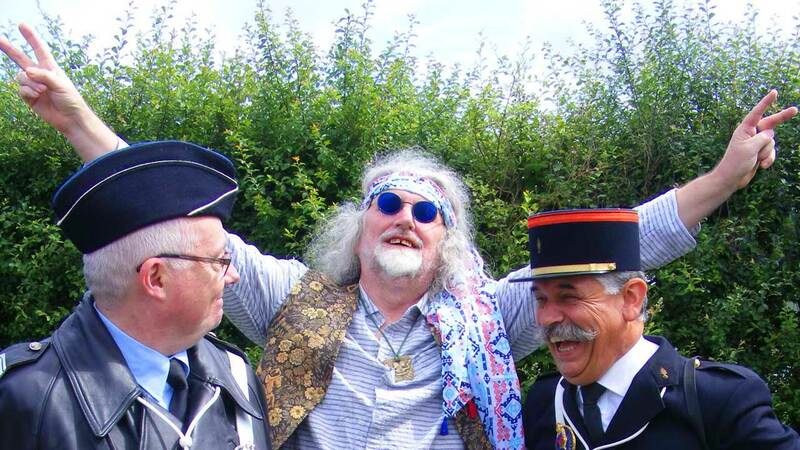 We love these events - the care and pride that people take without getting too po-faced, and the enjoyment they get from using their cars and having fun is really infectious. 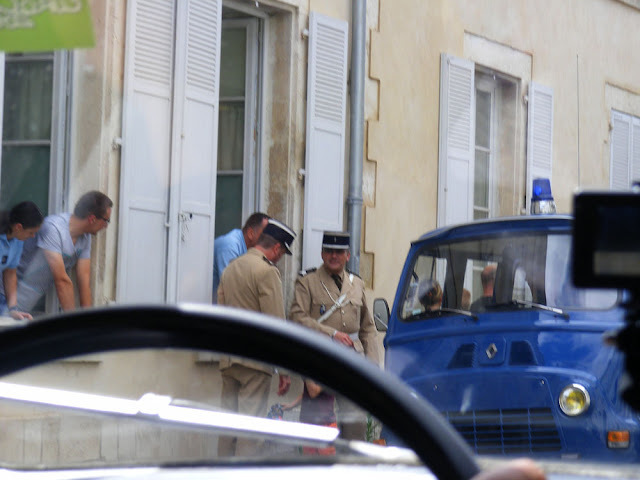 Heritage traffic jams are always a good place to see policemen, real and re-enacting. The past talking to the present. The present occupants of the gendarmerie hang out the window to watch the old cars. Love the white patent leather holster. Vintage uniform and vintage vehicle nicely co-ordinated. 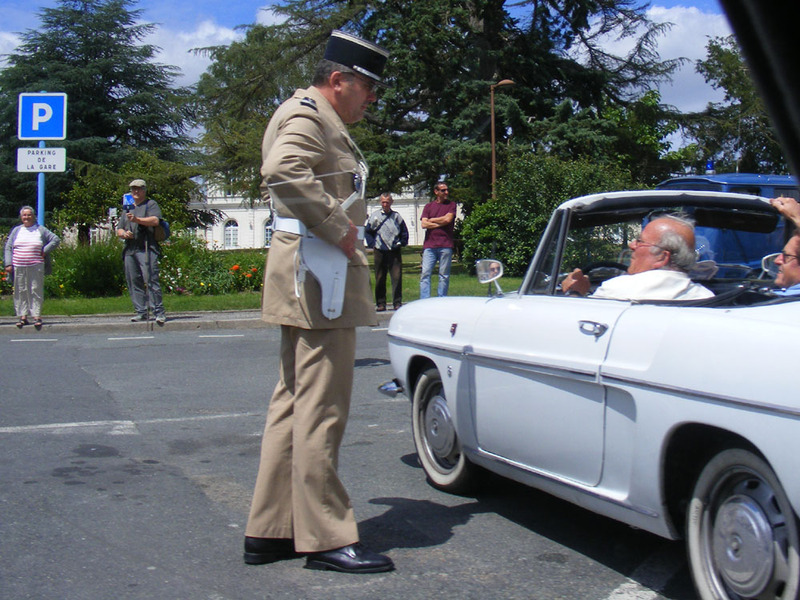 All photos taken by me at the recent Bouchon du Blanc, which we participated in. 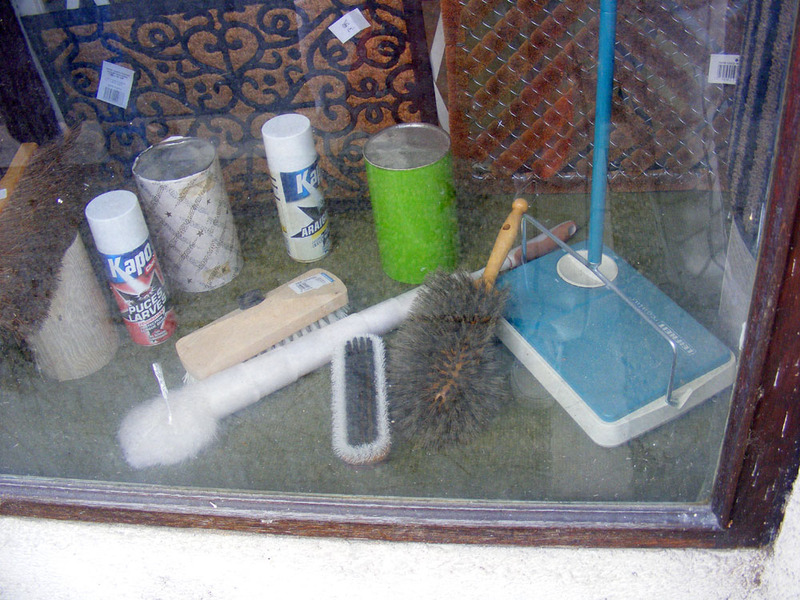 Cleaning products that need using. These shop windows might need a bit of a re-think. 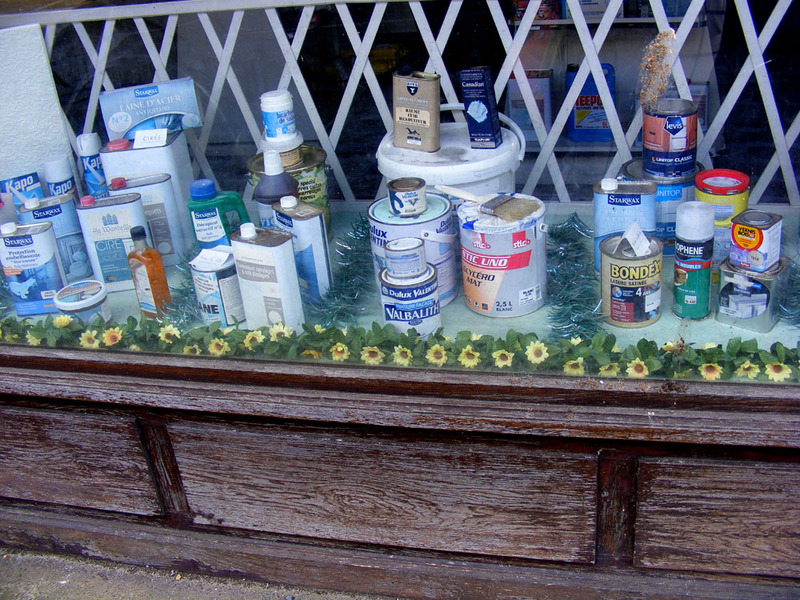 I hope the state of the exterior paintwork is not an indication of the quality of the display. 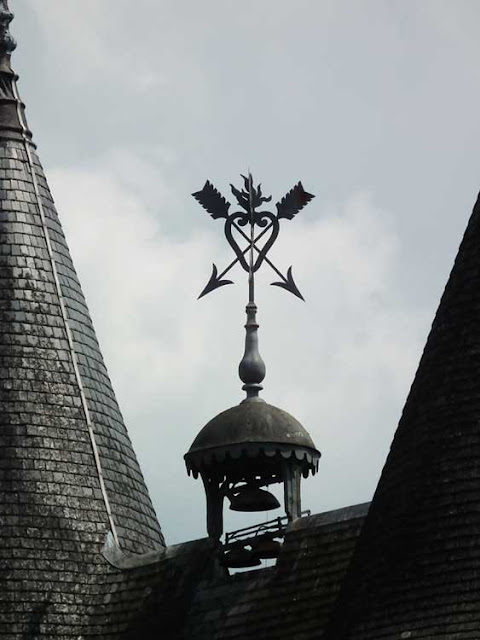 The Chateau du Petit Thouars is the sort of place we have wanted to take clients for ages but somehow or another it never worked out. Finally, at the beginning of June, we had clients who wanted to visit the Chateau of Azay le Rideau, a goat cheese producer and taste some red wine. Because the goat cheese producer we were going to was Le Vazereau, near Chinon, I immediately thought of Petit Thouars for the wine. The chateau is genuinely a family home, as well as offering holiday accommodation. It is run by Sébastien du Petit Thouars and his Canadian wife D'Arcy. Their winemaker came from one of the most famous estates in the area, and they have 16 hectares of chenin blanc and cabernet franc vines. Sébastien's father, the Comte du Petit Thouars is the former director of Baccarat Crystal and his mother was a wine journalist. It is really they who revived the life of the chateau as a vineyard when they inherited the property in the 1970s. Sébastien and D'Arcy left their careers in Paris and came down to enter the family business from 2008. 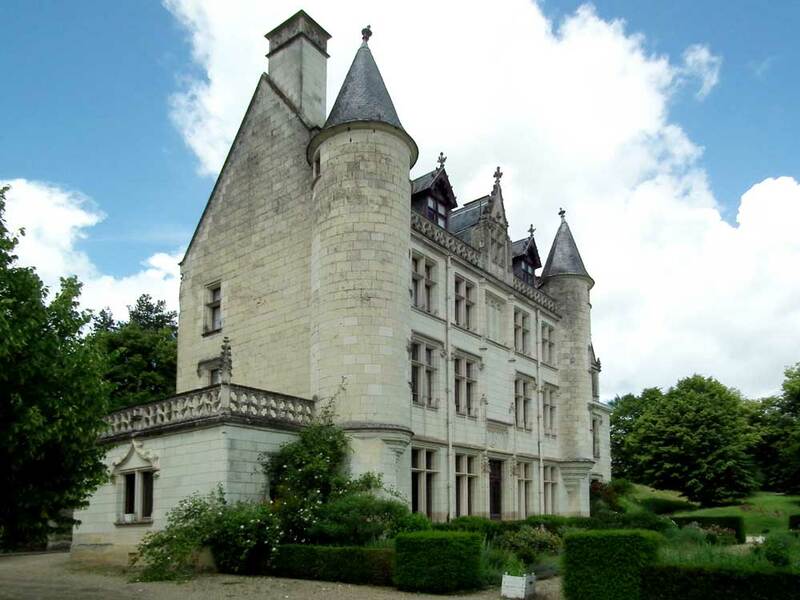 The 17th century chateau du Petit Thouars. I thought D'Arcy provided one of the best tours of the vines and winemaking facility that we have experienced. 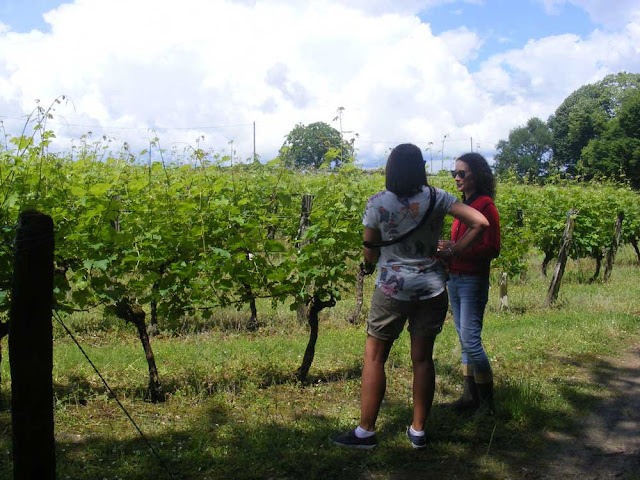 She was very knowledgeable about how the grapes are cultivated and the various problems and environmental conditions that must be dealt with as part of the seasonal cycle. 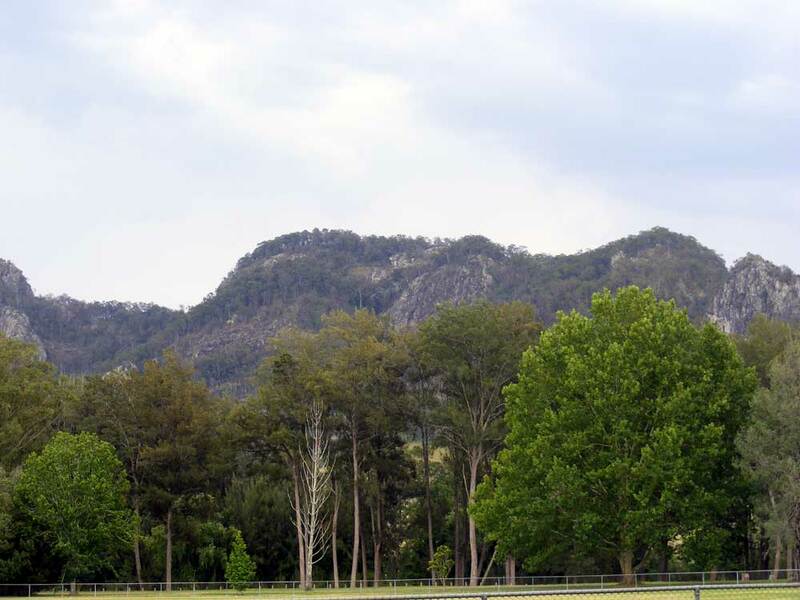 For example, she thought to mention that it is not permitted to irrigate vines in France, which French winemakers always forget is a revelation to American and Australian visitors. The vines look out over the Vienne river down in the valley, and across to the nuclear power station with its dramatic plumes of steam. Sébastien sits on the board of local winemakers and is doing his best to influence the AOC to allow new and better practices. He was instrumental in their area being granted Chinon AOC status rather than having to label their wines as merely Touraine. His argument is that they are a long way from the nearest other Touraine wineries and had little in common with them. It was absurd that they could see Chinon wineries from their vines, but not be allowed to label their wines with the higher status appellation. He is also arguing that a different pruning method known as Poussard which appears to help against the fungal disease esca should be allowed. 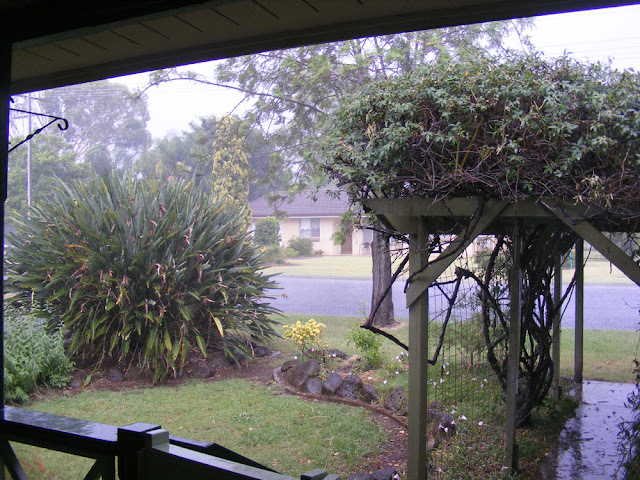 At present, the AOC is discreetly turning a blind eye to those who use the new technique, but it really needs to be enshrined in the regulations to allow everyone to feel comfortable and to manage the vines sensibly. Their vineyard is in the very early stages of converting to organic, a process their winemaker is not entirely convinced by, so they are taking it slowly and gently. But, as D'Arcy pointed out, they have two small children. Of course they don't want to be exposing them to agricultural chemicals unnecessarily. 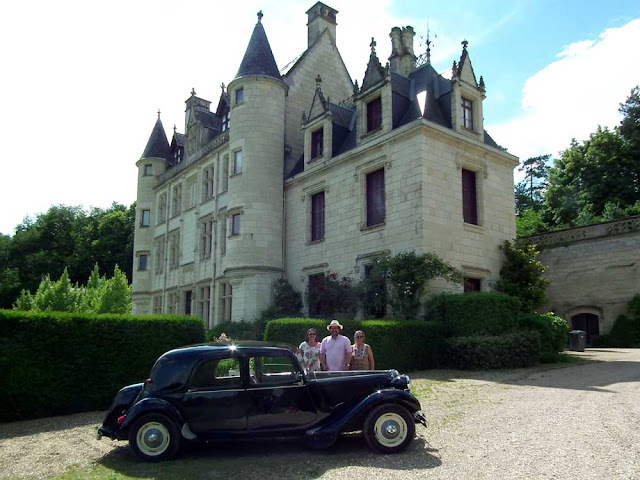 Our clients posing in front of the chateau with Sébastien. D'Arcy had to head off to town after our vineyard tour, but Sébastien took the tasting with our clients. He took us through a series of reds from different years which was an excellent exercise in terroir. Hint: their 2015 red is very good and developing into quite a complex wine. I personally liked the 2014, because it was a bit lighter on the tannins and I'm not a huge fan of tannins. I thought the chenin blanc was good too, especially in comparison to other Chinon AOC chenins I have had (Vouvray is really the heartland of this grape and it often feels like a bit of an after thought in Chinon). Both Sébastien and D'Arcy were charming, skilfully blending candid personal details of their lives running this small beautiful estate with a professional level of marketing and business savvy. I hope we get the opportunity to visit them again. D'Arcy (right) with one of our clients in the vineyard. 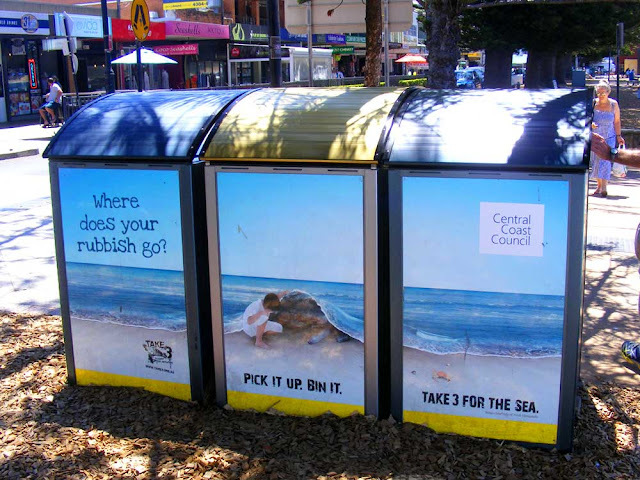 Take 3 For the Sea is an Australian non-profit organisation dedicated to reducing plastic pollution in marine environments. It was set up nearly ten years ago and engages in public education and participation programmes. Rubbish and recycling bins at the beach at Terrigal, New South Wales Central Coast. The message is simple. If everyone got into the habit of taking three pieces of rubbish away with them when they leave the beach, it would really make a difference. The amount of plastics in the sea has been getting a lot of press lately. Take 3 For the Sea now has ambassadors all over the world and including high profile surfers, anglers and photographers. 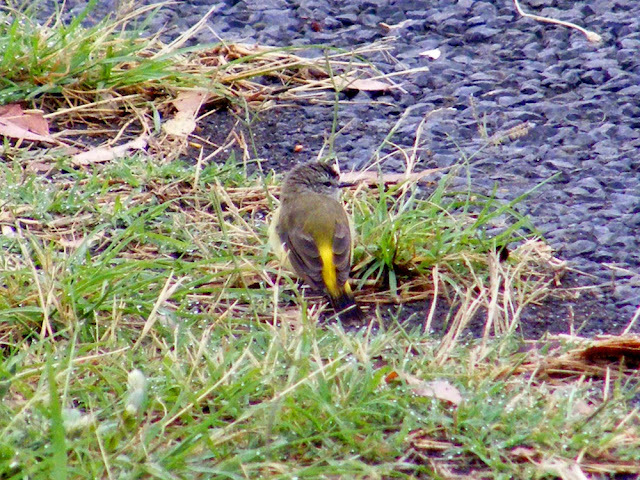 Yellow-rumped Thornbill Acanthiza chrysorrhoa one of those famous LBJs ('little brown jobs', for those of you who aren't birdwatchers) that you can find everywhere in temperate Australia -- so that's every except serious desert or serious tropics. Like so many Australian species it was first described by French scientists serving as naval surgeons and naturalists -- in this case Jean René Constant Quoy and Joseph Paul Gaimard, who worked together on the Uranie, captained by Freycinet, and later on the Astrolabe under Dumont d'Urville. Birdwatchers frequently refer to the species as 'butterbums'. 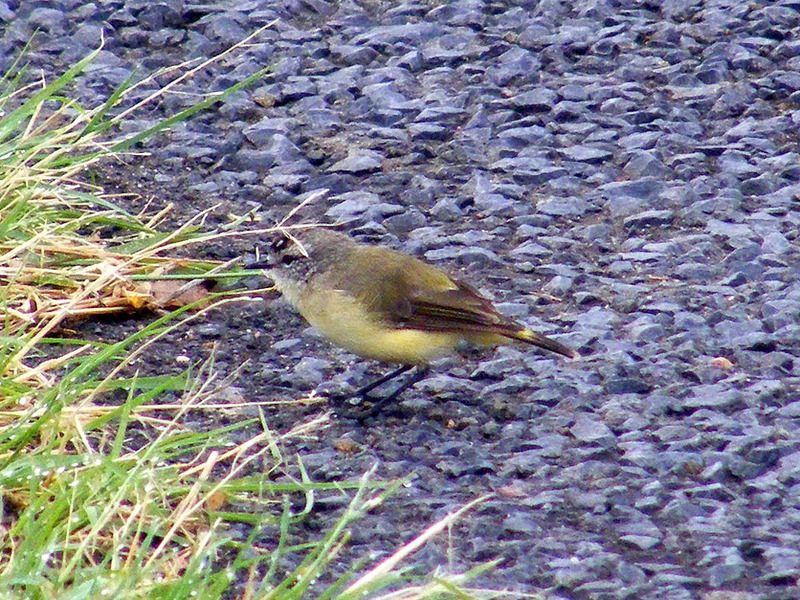 They move through an area in small flocks foraging for insects and seeds. Mostly you see them on the ground. Despite having adapted well to urban habitats, especially where native plants are used in gardens or landscapes, their numbers are declining overall. Regular readers will know that every month Susan organises an apero evening - except for when she organises a picnic or barbeque. These have been a huge success, and are continuing to grow amongst both the Anglo and Francophone community in and around the Touraine. 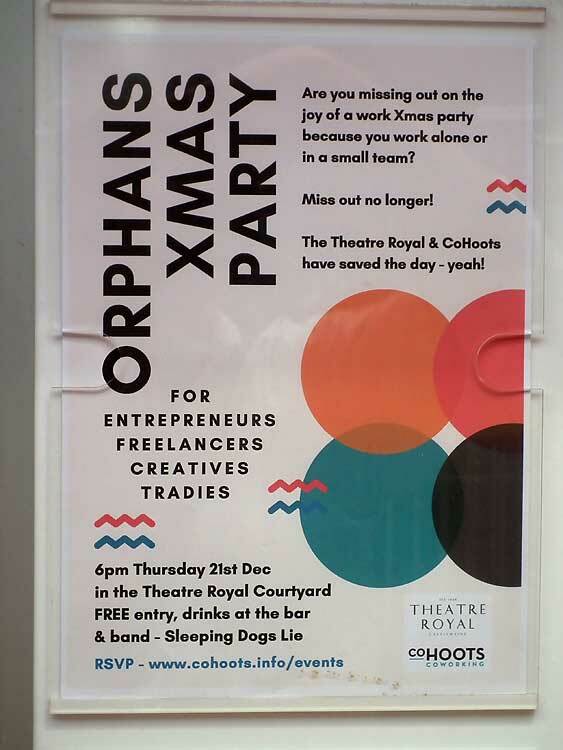 For December I think we will try steal this great idea we saw advertised in Castlemaine, Victoria. The reason I am posting this now is so that people can have some great ideas, and suggest them to us. I may have to steal Susan's family Christmas Cake recipe and start baking. Recently I met Sylvain Legeais in Preuilly. He lives in Charnizay and has started a small business selling local artisanal products. The business is called La Croisée des Terroirs ('the crossroads of terroirs'), a reference to the fact that here in the Touraine du sud we sit at the meeting point of three regional cultures -- Tourangeau (aka Ligerien), Poitevin and Berrichon. Each of them has their specialities and quirks. Terroir is a word that has no equivalent in English. It means a combination of climate, soil, plant varieties or animal breeds, husbandry methods and artisanal know how. Wine is the most obvious example of terroir in action, but in fact the term can be applied to any traditionally produced foodstuff. Pasta, terrine, lentils, beer and wine. 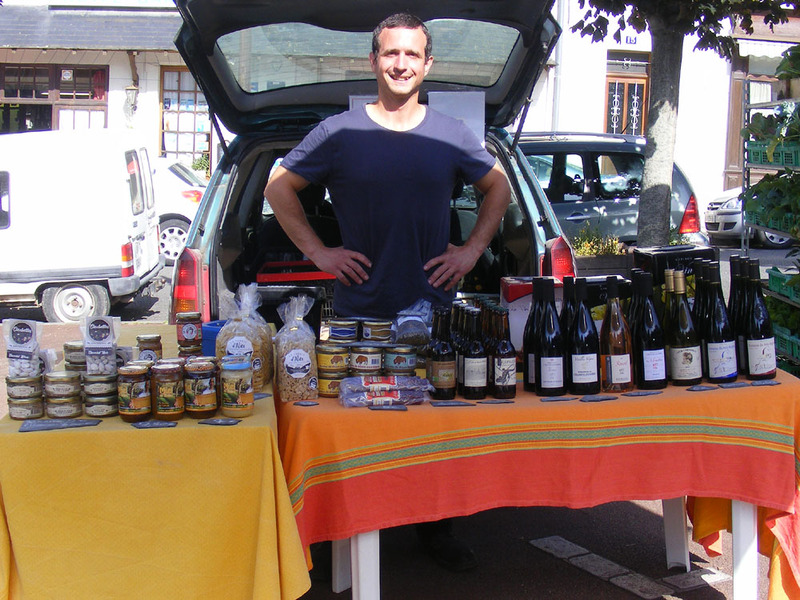 Sylvain is bringing his wares to Saturday markets in Preuilly and Saint Genoux (alternating between the two) and the Wednesday market in Loches. He will also do home deliveries in the local area and I've no doubt would be open to requests for hampers or private tastings at your place or his if you wanted to run a small event. Sylvain speaks really good English, having spent time in Australia. Chocolate coated almonds, terrines, honey, nut butter and pasta. 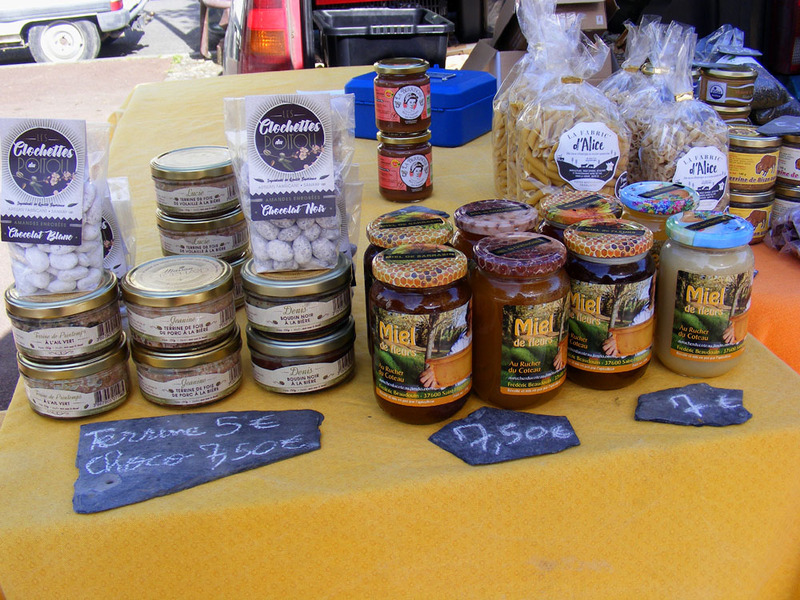 From Poitou he has chocolate coated almonds, pasta and bison terrine. The bison are American and apparently there is a herd of them on a farm in Poitou. 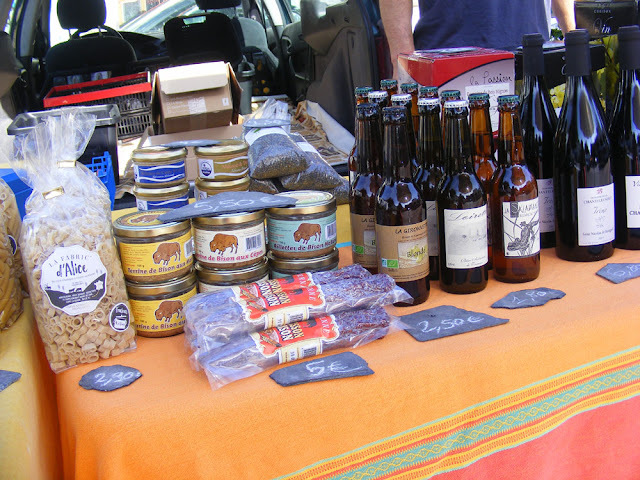 There is honey, beer and wine from the Touraine, and nut butters from Berry. 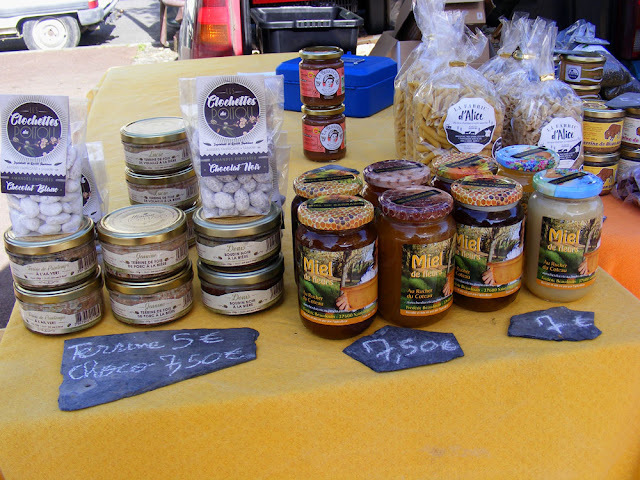 The pasta comes from a farm near Chatellerault. The owners grow their own organic wheat and have invested in Italian machinery to make their own pasta. 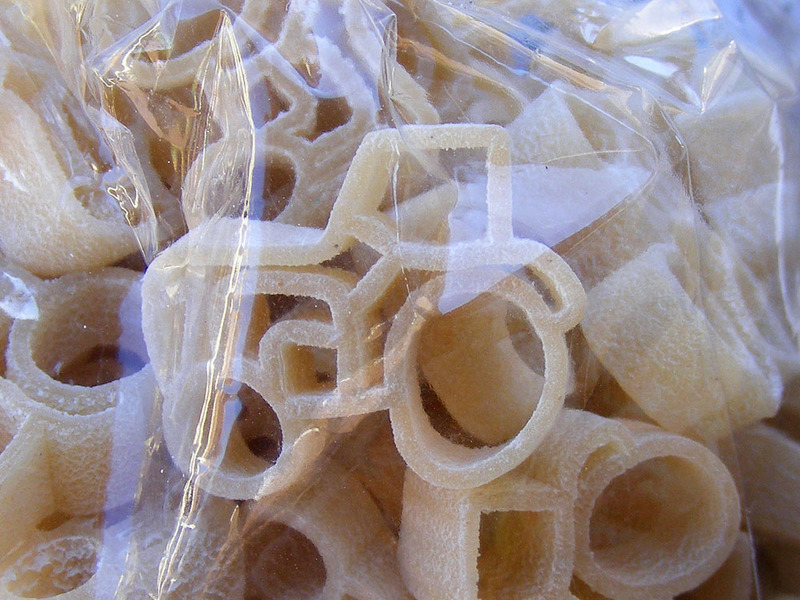 Amusingly, one of their signature shapes is in the form of little tractors. Little organic pasta tractors from La Fabric' d'Alice. 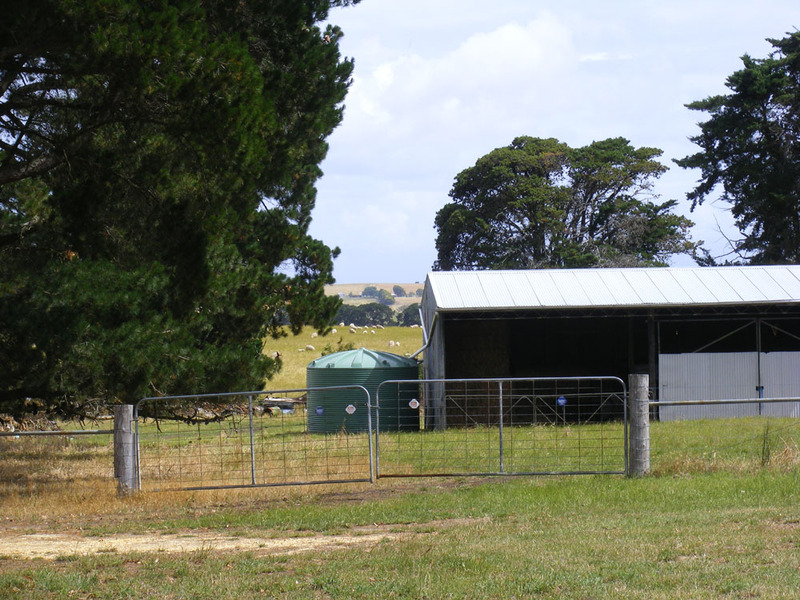 The bison farm was established in the 1990s, with just thirty animals. Now they have a herd of three hundred and run Wild West themed events as well as produce bison meat based patés and sausages. 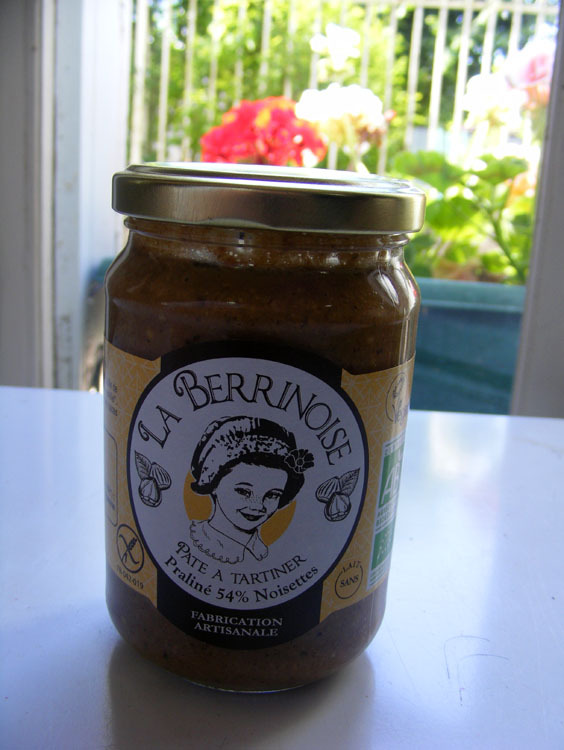 The organic hazel nut products are from a range called La Berrinoise, made in Mezières-en-Brenne for the local and tourist market. La Berrinoise is part of Noiseraie Productions, who have been making a wide range of pralines and spreads for the catering industry for thirty years. Don't be fooled into thinking these products are made by a simple peasant in a shed out the back. These are sophisticated products combining the best of artisanal traditions with those of modern manufacturing. The producers have invested heavily to grow their business and their longevity is testimony to their hard work and consumer savvy. Noiseraie Productions, for example, has a turnover of four million euros a year and is big enough to have incurred the wrath of Ferrero (who make Nutella, and have sued Noiseraie Productions for naming one of their products Nuté, deemed by them to be too similar to the ubiquitous chocolate spread). 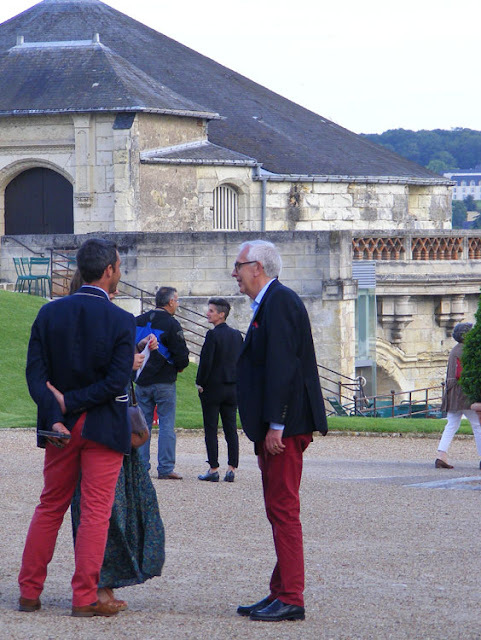 Our friend Antoinette tutors Jean-Louis Sureau, the director of the Royal Chateau of Amboise, in English. Recently he gave her four tickets to an invitation only event at the chateau and she invited us to accompany her and her husband Niall. 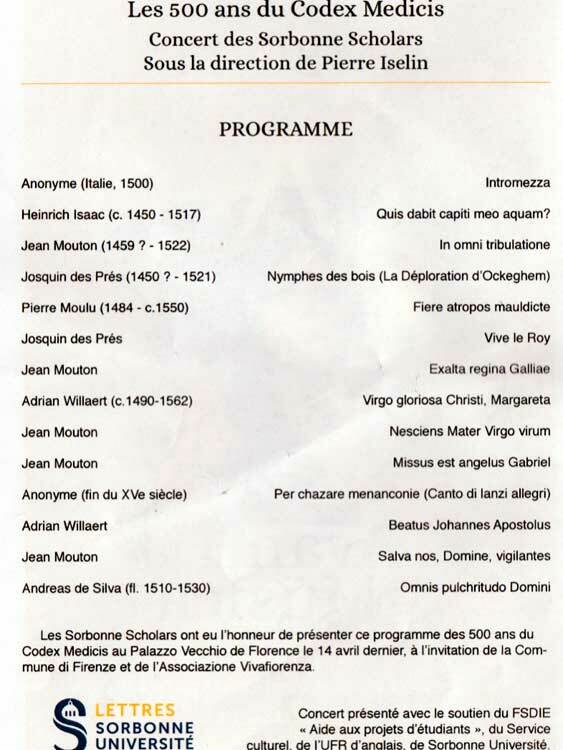 The Sorbonne Scholars are a group of Renaissance and early Baroque music specialists and they were on tour performing the Medici Codex. This is a compilation (or as the conductor put it, a 'best of') put together for Pope Leo X (second son of Lorenzo the Magnificent of Florence) and used for the marriage of Lorenzo II de Medici, Duke of Urbino and Madeleine de la Tour d'Auvergne, which took place at Amboise in 1518. The Duke was Leo's nephew and the celebrations were designed by Leonardo da Vinci, who by that time lived next door to the chateau in Clos Lucé, at the invitation of François I. Within a year of the marriage taking place both bride and groom were dead, orphaning their baby daughter Catherine. The style of music is polyphonic and complex, using both voice and instruments together, as a signifier of how magnificent the performance is intended to be and befitting the courts of great patrons of the arts such as Leo and François. Jean-Louis Sureau chats with audience members after the show. 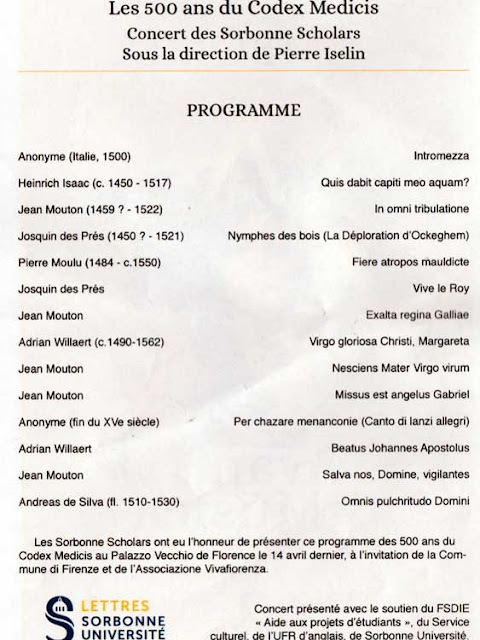 We feel really privileged to have got to see this concert. Amboise wasn't on their original tour list, but someone at the chateau convinced them to stop off and perform. They even agreed to being outdoors, and we all felt lucky that the weather held. 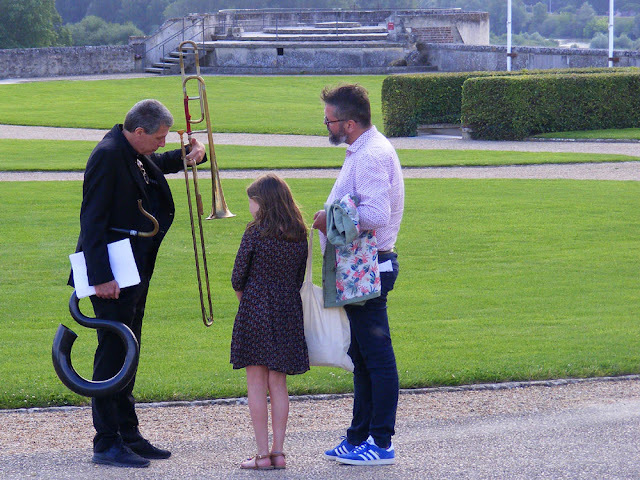 A musician holding a serpent and a sackbut chats to a father and daughter after the concert. Video by Simon, text and photos by Susan. On Sunday Susan and I participated in our third Bouchon du Blanc. The first we went to (2014) we were along and last time Susan's sister and brother in law accompanied us. This time we went with Jim and Pauline, who turned out to be the perfect companions for a day of 1970's hippie madness. 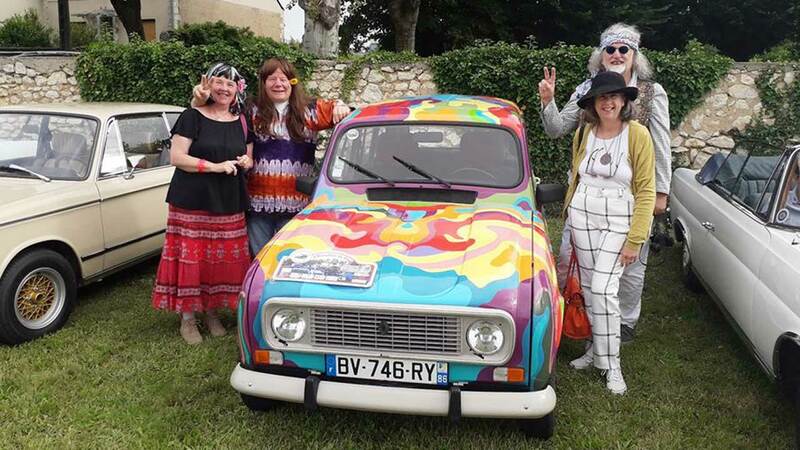 We borrowed someone's beautifully painted Renault as a prop. This is an incredibly well organised event, starting with a cup of coffee at 8.30, and moving on to la Gabriere for casse-croûte (baguette, terrine, boudin noir and red wine) before returning to le Blanc for lunch. Lunch itself was 3 courses - main of meats and salad (including some perfectly cooked cold sliced roast beef), before fromages and finishing with apple tart. All of it was extremely tasty, well presented and well organised, and at 15 euros a head, incredibly good value. We then had a little post lunch relax before moving on the day's main even, the traffic jam. We did almost two circuits of the town before pulling into a car park, and walking past the now abandoned cars to a refreshing reward of a cold drink and an ice cream. All in all an excellent day. And we all behaved. Because we have two work cars we keep one at Saint Pierre des Corps and the other at home, the plan being to rotate which car we use. Lately, however, the car at home (currently Célestine) has been as busy as the car at Saint Pierre des Corps (Claudette). 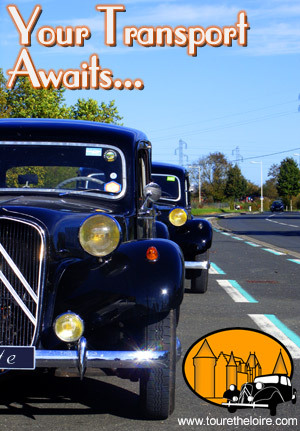 This means we have to do minor maintenance on the run, as it were: when we work from Saint Pierre des Corps we arrive at the garage just before 8am, check the water and oil (and occasionally the tyres too), and then we are off for a day's driving. A couple of weeks ago we did all that, collected the clients and started the drive to Cheverny. About 5km outside Tours I noticed a fine spray of water on the windscreen, which was odd - it wasn't raining. I said (jokingly) to Susan that I hoped I had put the radiator cap back on. When we arrived at Onzain (to view Chaumont from acoss the river) I checked just in case. I hadn't put the radiator cap on. 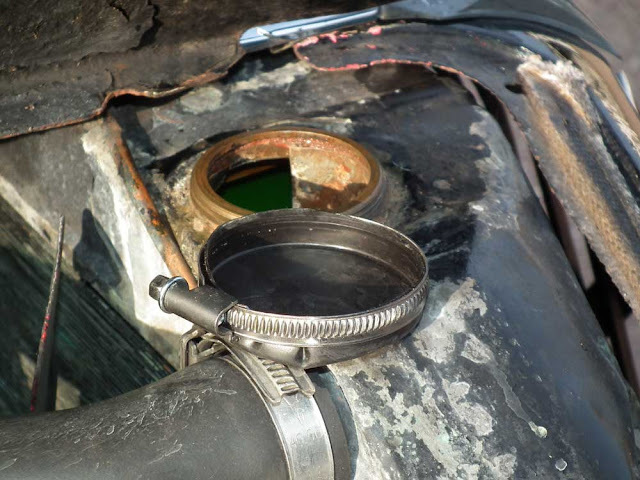 I usually put the radiator cap on the air filter cover on the passenger's side of the car, and it wasn't there, so I grabbed a plastic bag out of the boot and taped it around the filler, then when we arrived at Cheverny I left Susan and the clients at the chateau and drove off into town to see if anyone could help. I called at a garage that appeared really busy, and the mechanic spent ages looking for a screw cap that would fit, but with no luck. 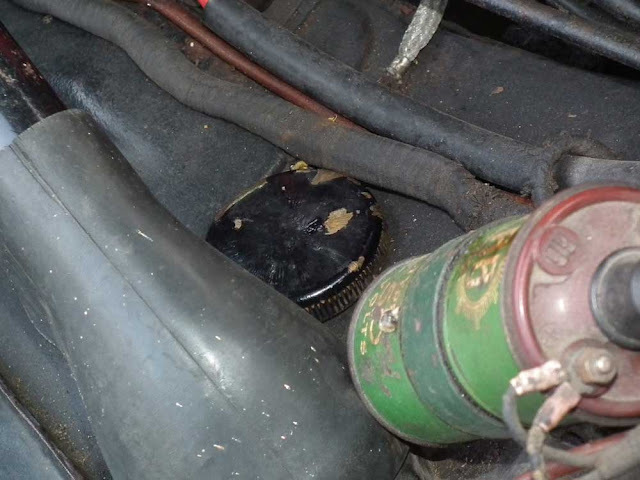 In the end he fashioned a cap out of the bottom of a brake fluid bottle, and fastened it with a Jubilee Clip. So that's 48 euros I saved on a new radiator cap (I know!! ), and hopefully a lesson learned. I may not be so lucky next time. 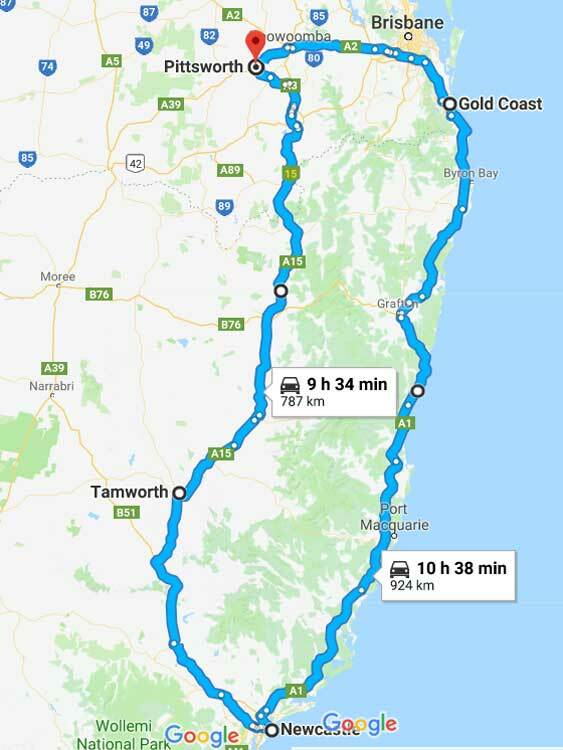 As any fule kno, there are two ways of getting from Sydney to Southern Queensland - drive to Newcastle then take either the New England Highway (inland) or the Pacific Highway (coastal). There is another route, one which avoids the main highways and gives spectacular views and that is Thunderbolt's Way. The road was mainly unsealed when we lived in Australia, but these days it has had a make-over. Although it wouldn't yet qualify as a highway (some of the sealed surface had been washed away) it's not a bad road.You really do need to make sure you buy fuel before you start, because there isn't a lot in the way of services along the way - only one town (and no other settlements) in the 200km between Barrington and Uralla. 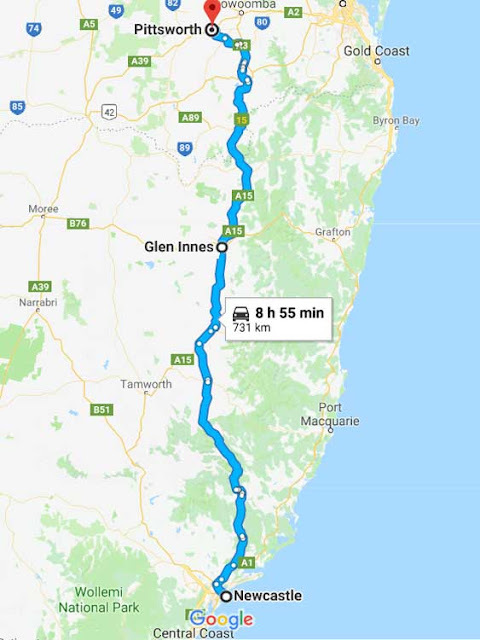 Due to lack of awareness we managed to be driving on the first day of the summer school holidays, something I only realised the day before we left. 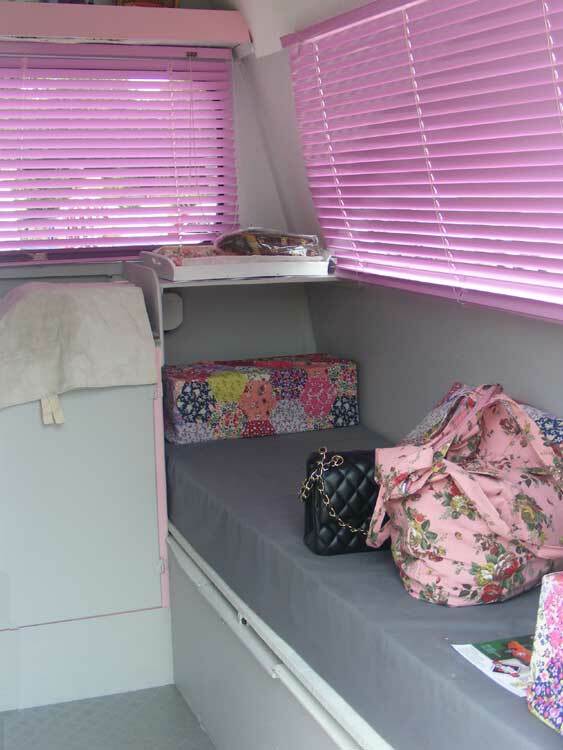 This filled me with trepidation and the fear of hours sat behind caravans. 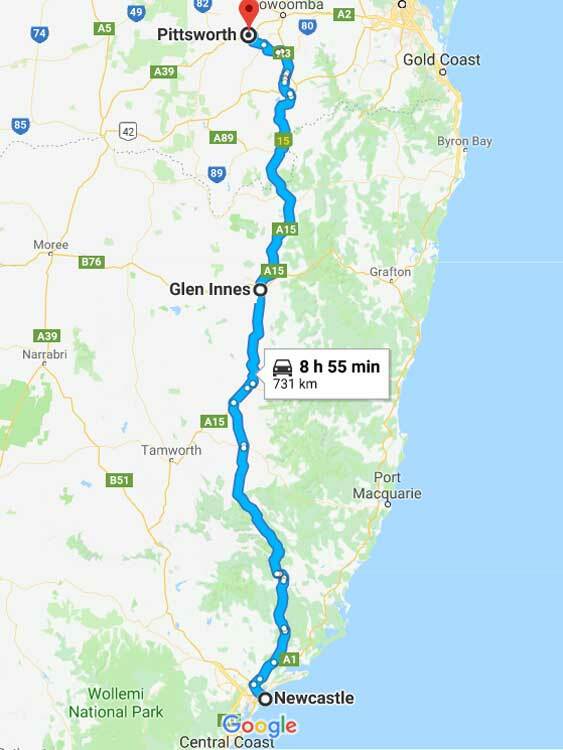 We did have issues crossing the Tomago bridge (that's a problem I can remember from almost 50 years ago), but one we turned off the Pacific Highway at Twelve Mile Creek we encountered almost no traffic - the roads were empty. Talking of traffic jams and the school holidays, this afternoon we will be in le Blanc, traffic jamming. This will be our third go at the Bouchon du Blanc, which starts at 15h (3pm) and given good weather should be a blast. It's been raining a lot here in France lately. Proper downpours causing small landslides and everything. While we were in Australia I photographed a similar heavy shower from my parents house. 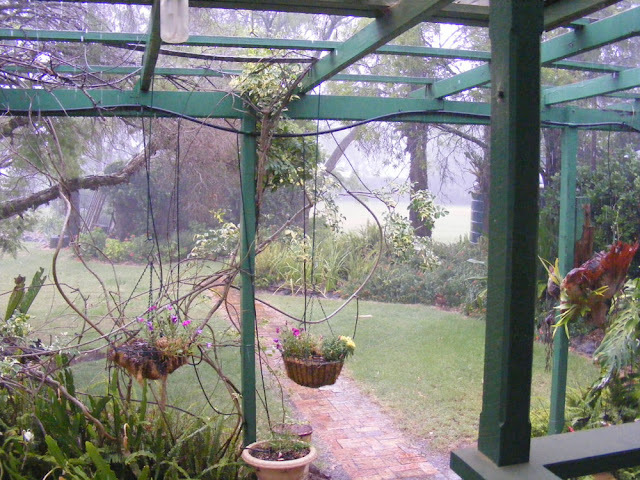 Something that interested us about the Idiot Wagon is that although its European air conditioning coped with the Australian heat (all the way up to 45C and beyond), its European windscreen wipers couldn't cope with Australian rain. My cousin Josh is a sheep farmer. If you want to gain his attention you have to be prepared to talk about sheep farming. Fortunately, I am happy to talk about sheep farming, so we did while I was visiting his father, my uncle Ric. 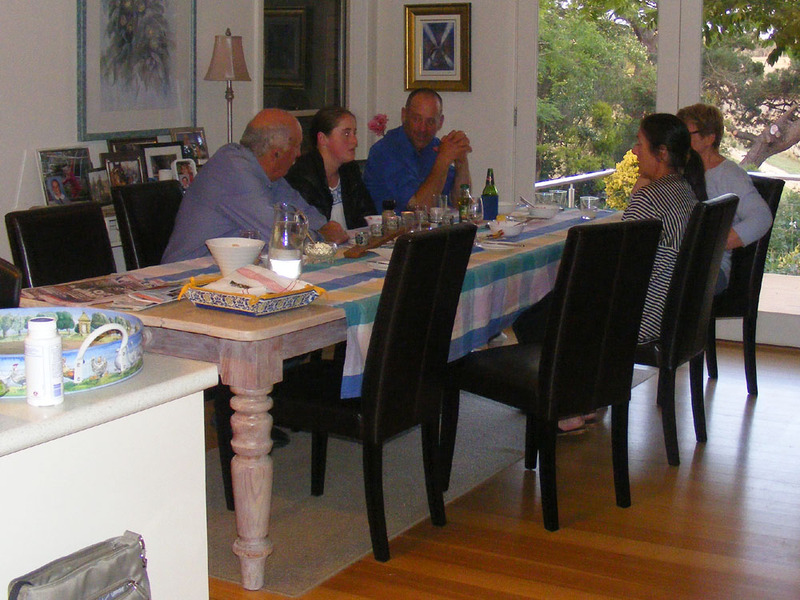 Josh, his wife and daughter came to dinner one night and we talked about sheep farming in Australia and France. Josh already raises sheep for meat but he is also in the very early stages of an ambitious new project. The Awassi rams check us out. He has planning permission for a 3000 head herd of dairy ewes. The dairy itself and the ewes haven't arrived yet, but when we visited Uncle Ric a herd of about twenty rams were living in his house paddock. 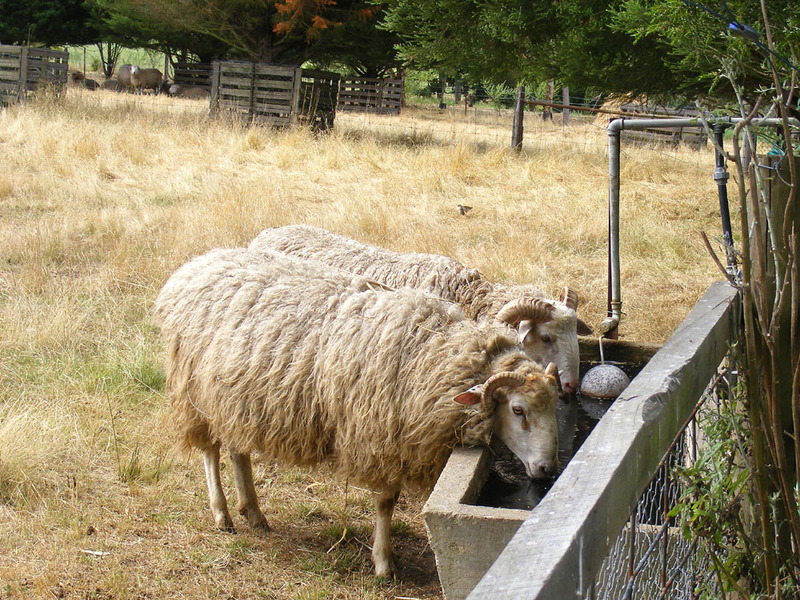 Thirsty rams take a drink. 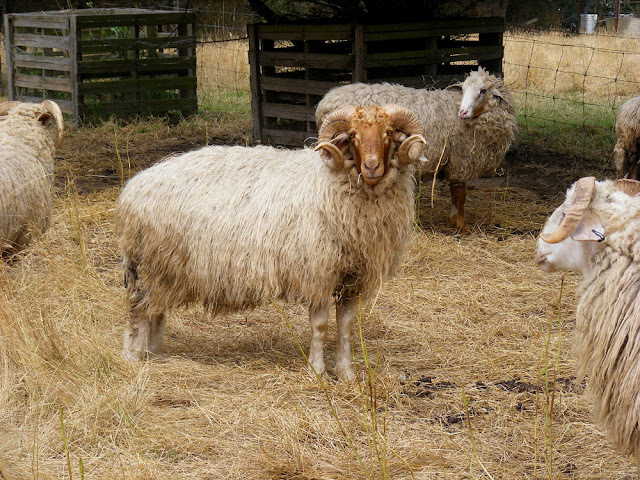 The rams are handsome beasts, a Middle Eastern breed called Awassi. 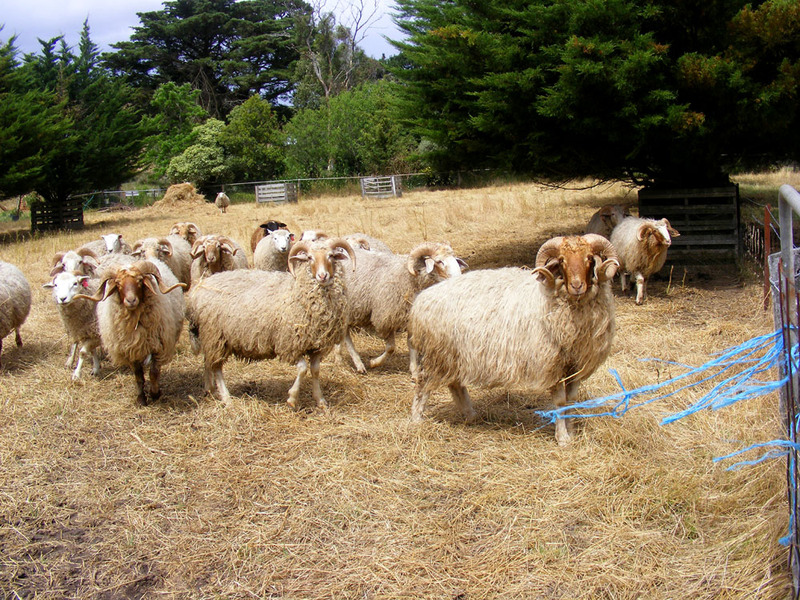 They are used to being handled and are very tame. Ric and Sheila's farm near Geelong. Josh's big idea is to sell milk powder to the Chinese, many of whom, like himself, are bovine lactose intolerant. He's hoping to be able to undertake a study trip to Israel to see sheep dairies there. At the dinner table at Ric and Sheila's. Josh in middle. We were in Pont de Ruan the last week, visiting the mill complex with clients. 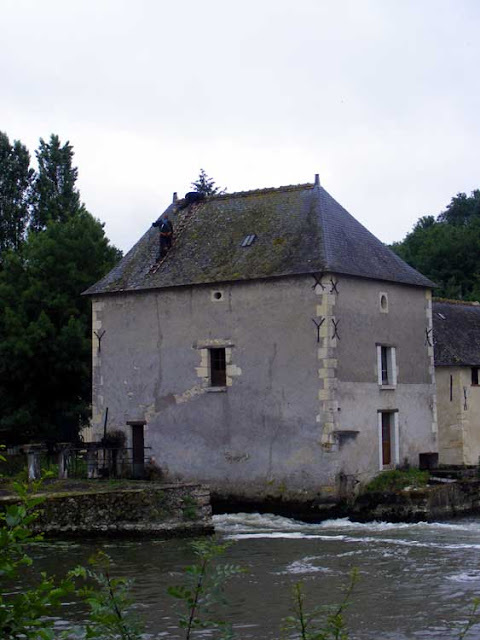 A couple of the mills were restored in the years leading up to 2012 (see here and here ), but one of the mills that stands alone has always looked unloved. This time we noticed that there was activity on the roof of the mills that stands on an island on the "other" side of the river. 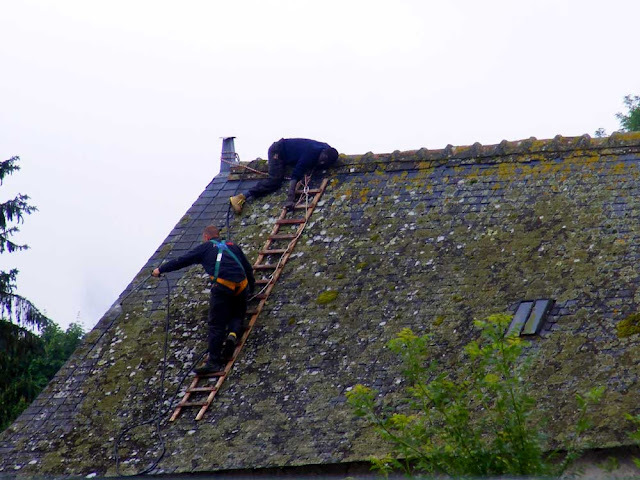 We couldn't quite work out (at first) what was happening, but we were impressed by their adhesion to (a) the roof, and (b) health and safety laws. Not that we blame them. We don't know if cleaning the roof is the first stage of a restoration program or what, but it is nice to see some action being taken. This is one of my favorite parts of one of my favorite chateau. I know, that's twice now that we've been almost famous. Here's the first time. The second time was in November last year, when an article about us appeared in "Living France" magazine. 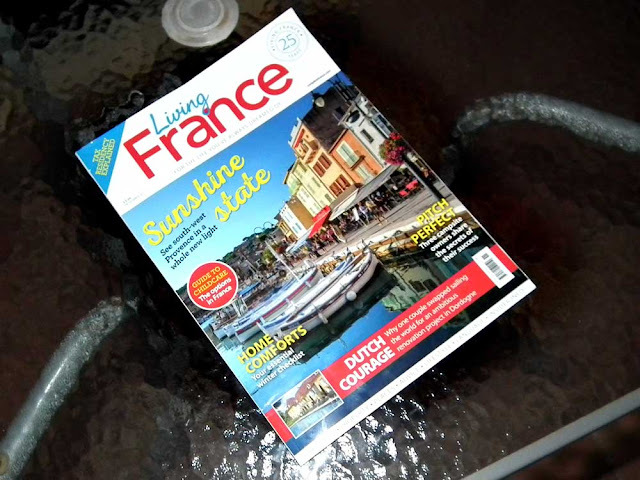 There are quite a few magazines aimed at the aspirant anglo looking at changing their lifestyle but Living France would appear to be the best of them, presenting a not too rose tinted glasses view of living in France. In August we were contacted by Ulrike Lemmin-Woolfrey and asked if she could interview us, and if her husband (a proferssional photographer) could take some photos. We met in Amboise on a grey and rainy day and spent the afternoon looking for locations. In the end we used one of our own photos, taken on Susan's camera by our South African friend Joy. of Susan, Célestine and myself in front of a field of sunflowers at sunset. We had been to a wine tasting, and on the way home we took a diversion to show Joy and Jheanne the Demarcation line near Ligueil, the chateau at Chatelier, and the Pierre Chaud. All this after 10.30 at night. 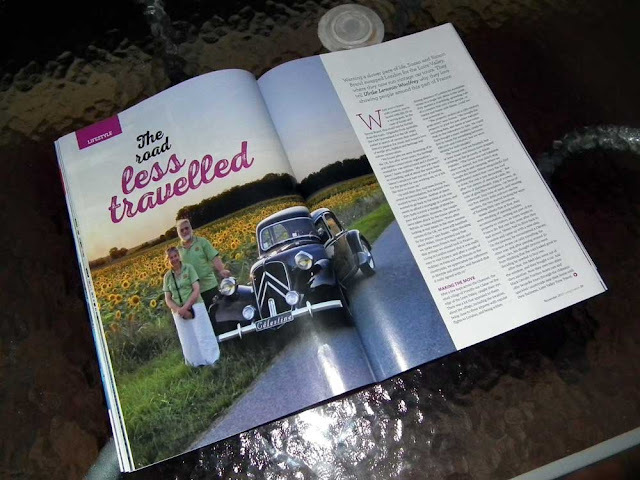 We ordered copies of the magazine for both sets of parents in Australia, so when we were there I was able to sit with my mother, show her the pictures, and read the story. 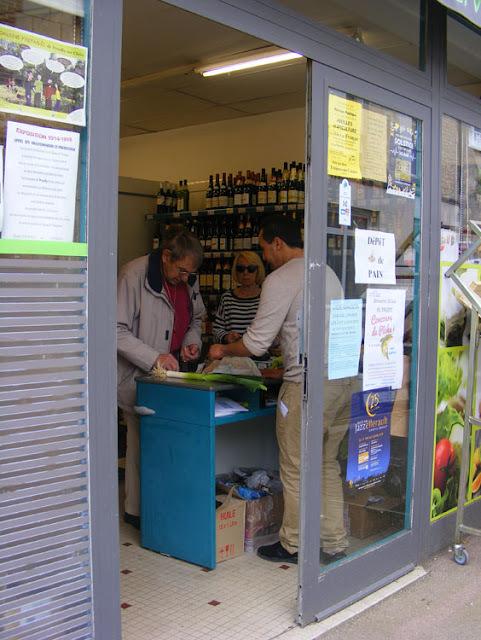 Our nearest minimart (corner store) is the Episervice on rue des Halles in Preuilly. The previous owners have retired and moved to Limoges. It was touch and go as to whether they would be able to sell the business, but luckily for Preuilly, a young man called Karim Arabi has arrived to take over the shop. Karim is hard working, ever ready with a smile and willing to help shoppers with deliveries and other little services. He left school at 16 and has worked ever since. I suspect having a small business of his own is a real step up for him, and he's clearly up for the challenge. The shop is open every day (Monday to Saturday 8 am - 12:30 pm and 3 pm - 8 pm, and Sunday 8 am - 1 pm). Fresh fruit and vegetables are delivered three times a week. There is the usual selection of store cupboard groceries and household products, but he also focuses on local products with few food miles eg milk from le Grand Pressigny, cheese from Bossay sur Claise and Le Petit Pressigny, and honey from Berry. Marrocan specialities will also get a higher than usual profile, given Karim's family background (he was delighted to point out that the harissa paste I bought from him recently was 'the best'). He and his wife Valérie have four children. One was born since their arrival in Preuilly at the end of April, so is very new. The others are school age and a welcome addition to the Pruillacien scolastic establishments. I know that our mayor really encouraged him to move to Preuilly, both for the continuation of the business and the additional children for the schools. 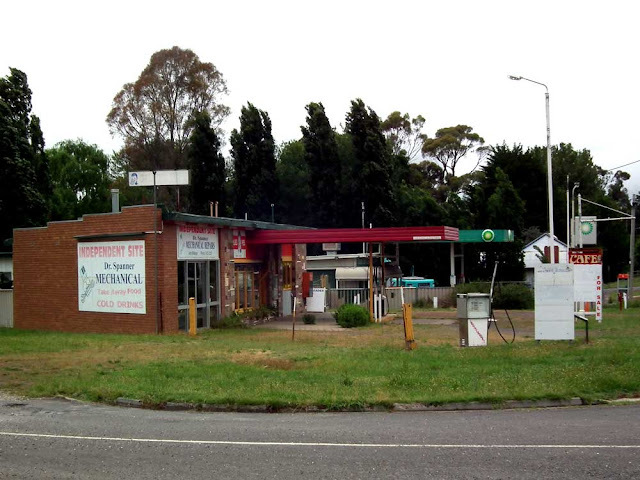 Our mayor is particularly concerned to maintain services such as independent shops and home deliveries in Preuilly because of the number of elderly and infirm who live in town and don't drive. Karim is truly a welcome addition to the town from that point of view. 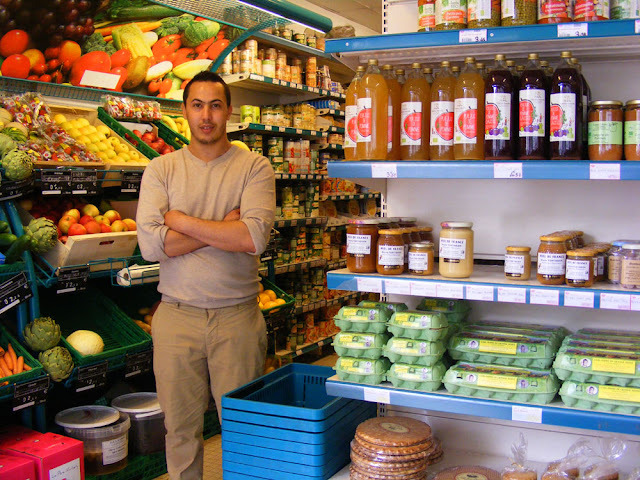 Karim standing in the fresh and local produce section of the shop. At the moment the front door of the shop is boarded up after having been smashed. A local man went on a spree recently, verbally abusing several people in shops and the street. When he started harassing the wheelchair bound old woman who lives opposite the Episervice, Karim intervened to protect her. As a result the man, who has psychiatric and alcohol issues, smashed the door of the shop before the police arrived to haul him off. Karim has impressed everyone who has come in contact with him. He's friendly, straightforward and wants to succeed. A few locals have expressed concern to me that as Maghrebis the family might not get a warm welcome from everyone in a small conservative rural location. But all I've seen is great willingness to support him, so I hope he and his family are here to stay. 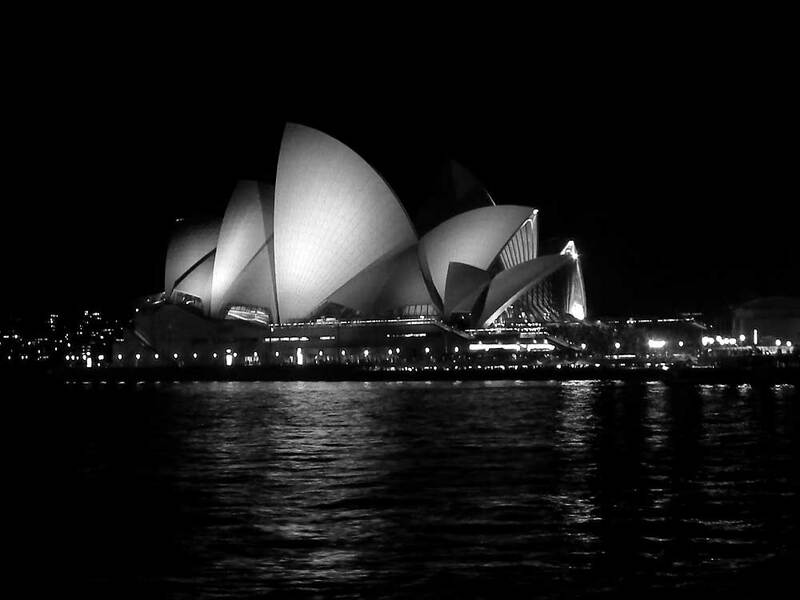 When my family first arrived in Australia we lived in Sydney, and one of my most vivid memories was catching the ferry to Circular Quay and seeing the half completed Opera House. But that's not what I am celebrating here. This blog post is a purely a brag, although chance may have played a part. I actually managed to take a night photo of the opera house from a moving ferry! You can read more about the Opera House here.